Karyle Sue Butcher was born in 1942 in Tacoma, Washington and raised in Fresno, California. She conducted undergraduate work in History at Fresno State University and the University of California at Berkeley, before shifting her interests to librarianship on the advice of a friend. She earned her Master of Library Science degree from the University of Southern California in 1965 and, in due course, moved into a position as reference librarian at the Los Angeles Public Library. Butcher remained in public libraries for sixteen years, a time period that included her first administrative appointment as Branch Supervisor within the Santa Barbara Public Library system. In 1981, Butcher made the switch to academic libraries, accepting a post as Business Reference Librarian at the Oregon State University Libraries. 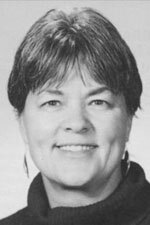 She would remain on staff at OSU Libraries for twenty-nine years, moving steadily up the ranks from her initial duties supporting Business students and faculty, to that of Access Services Librarian (1983-1985), and then on to Assistant University Librarian (1985-1996). 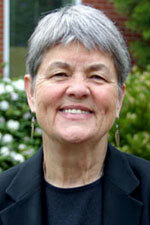 In 1996, Butcher replaced Mel George as University Librarian at OSU. As head of the libraries, Butcher's accomplishments were manifold. Early on in her tenure, she oversaw the transformation of the library's physical space from the Kerr Library to the Valley Library, a three year, $47 million construction project completed in 1999. That same year, the vastly expanded space was honored as "Library of the Year" by Library Journal, the first academic library to be so named. Butcher was likewise instrumental in the creation of two endowed chairs within the OSU Libraries, while also increasing the rigor of the promotion and tenure process for OSU's librarians, and instilling a culture of innovation through strategic hiring and a willingness to take chances. In 2000 the University Archives joined the OSU Libraries and in 2003 the OSU Press did likewise, with Butcher serving as its Director. Butcher also drove the process by which the Oregon Explorer digital library was conceptualized and launched, and in 2007 she created the OSU Libraries Advisory Council. Karyle Butcher retired from Oregon State University in 2010 and shifted her focus to community engagement. Always active in civic affairs, she has served on several city-wide commissions, including decision-making bodies focused on planning, budgets and the arts in Corvallis.